My bathroom is a little slice of heaven. 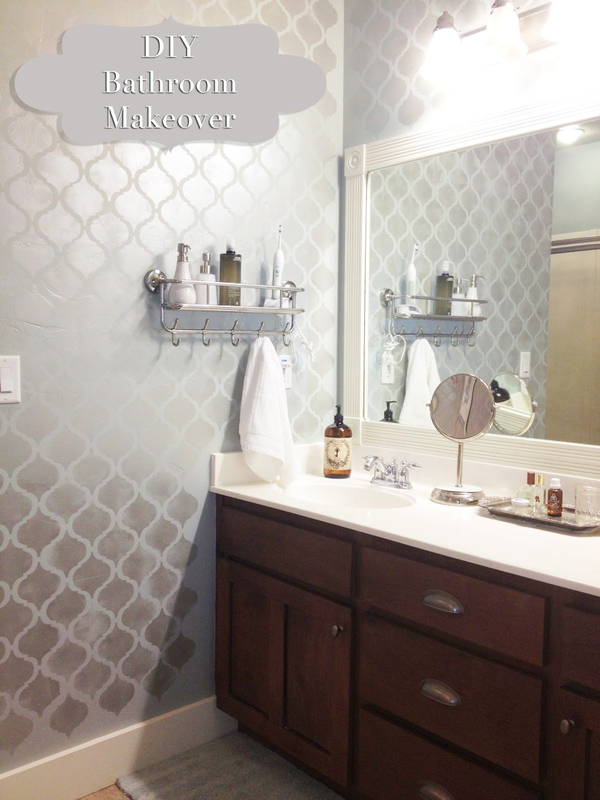 I hope you like my DIY bathroom makeover as much as I do. I did it all by myself. My husband was out of town for the week and it was a surprise for him... ok, maybe a little me. And maybe I did it when he was gone so I didn't have to incorporate his ideas ;). It wasn't bad to begin with. But it wasn't much fun either. In place of the little towel rings that the builder installed, I got these cute shelves/hooks from IKEA. I also grabbed some pretty dispensers for my facial cleanser and moisturizer so that I can keep them out (they were so not pretty). I also added this mirror frame. It was seriously easy. Tutorial coming soon! Did you notice that I painted the little table by the tub? It used to be black. I slapped some home-made chalk paint on it and called it a day. The tub tray might be my new favorite friend. It's so functional, and pretty. I accessorized with glass containers (mostly from the thrift store) and some pretty soaps. I got this print at IKEA and I made the old black frame silver with some Rub-n-buff. The shelf is at IKEA and I just happened to have it in my storage room. The stensil is done with silver glaze. It was really easy and fast (about 3 hours) to do. Watch my How to Stencil a Wall Video Tutorial to learn how I did it. Notice the pretty lights? They are a flush-mount crystal light from Lowe's. I love how they make it look like the stensil keeps going, but it doesn't. 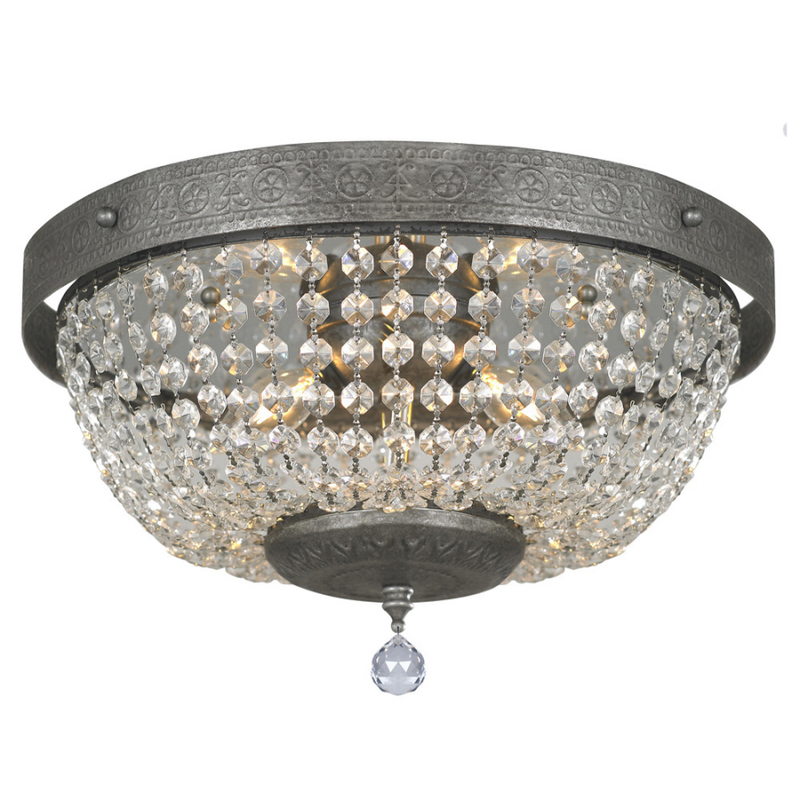 I wanted a chandelier in the bathroom but it just wasn't right for the space. These are a great solution. They were pretty challenging to install though. I love this little cart. I found it at TJ Maxx and it was black. Again, a few coats of my home-made chalk paint did the trick. 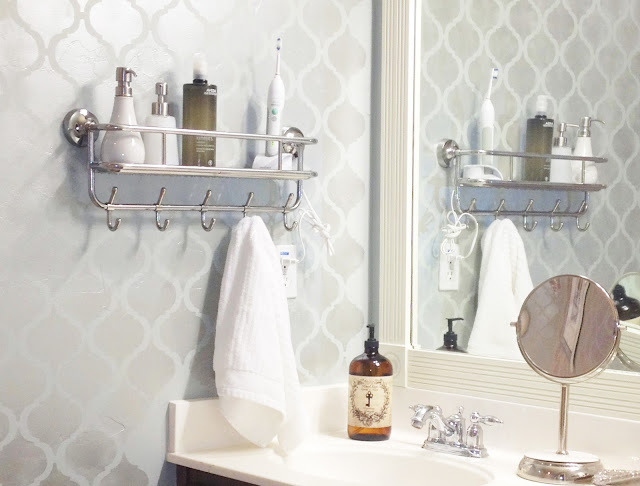 Is there anything more soothing than fluffy, white towels? The striped ones are from IKEA. Not the best picture (sorry). I wanted the closet to feel like part of the room but I didn't want to paint all those shelves. My solution: use the paint color mixed with glaze base to stensil across the top and down the middle. It took me about 30 minutes and it totally did the trick. The prints are from IKEA. The light fixture makes me happy! 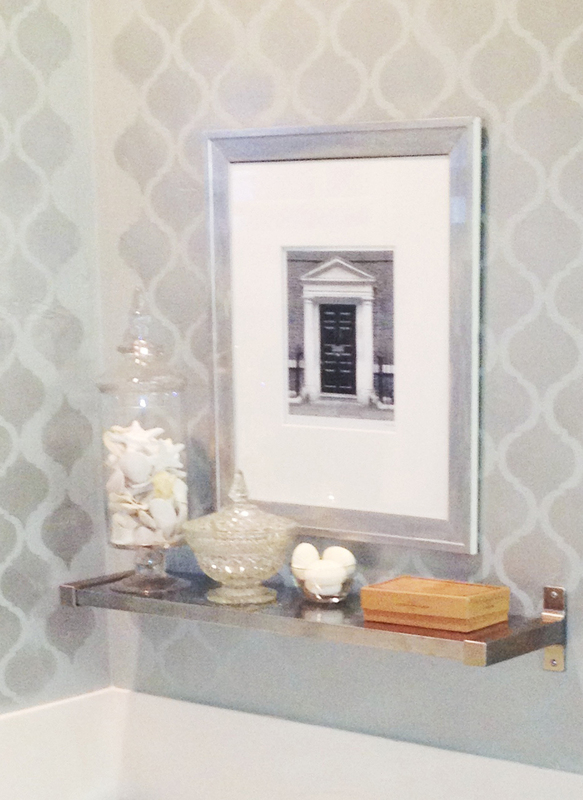 The inspiration for this entire makeover was wanting a place to keep my sanitary items. I created these DIY Crate Shelves for that purpose. Love. What I really love though is the styling. Family photos aren't just for the family room. I hope you enjoyed this makeover. What do you think? Are you inspired?